The stickers are great, I love the design. Thank you so much. Cant wait for the show in colorado. I got a new car and with a new car comes a new sticker. I love the sticker! It looks great and I love all of the Timber designs. 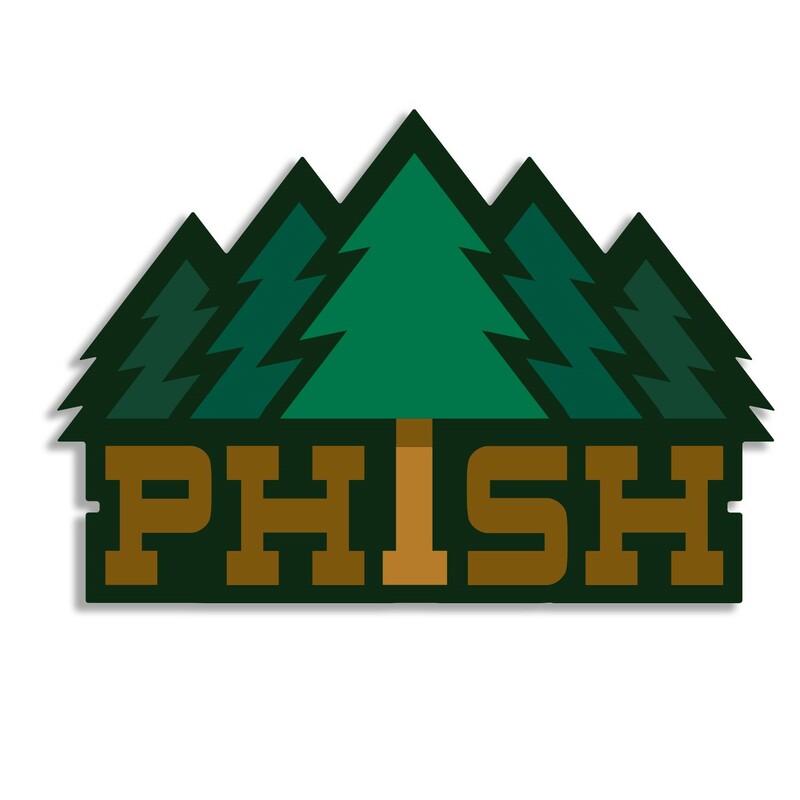 Thanks Phish! love love the design and the colors... the sticker is awesome but quality was lacking a bit... Probably due to the diecut intricacies withe the branches. When applied to the back window of my pick'm-up-truck the corners on the ends of the tree branches weren't cut as clean as I'd had hoped as they showed some white/backing. That being said, I still love it and keeping it in place on my ride to rep phandom.